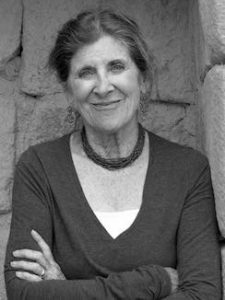 Judy Blankenship, award-winning photographer, writer and editor, lived many years in Canada and Latin American before settling in Portland, Oregon. She now divides her time between Portland and Cañar, Ecuador. Her photographs are in the collections of the national museums of Costa Rica and Ecuador. In the early nineties her exhibition, The Cañari of Southern Ecuador, traveled to museums, universities and cultural venues across the U.S., Canada and in Ecuador. Her Ecuador documentary materials collected over two decades will eventually be held in the Archive of Indigenous Languages of Latin America (AILLA) at the University of Texas at Austin. National publications with writings and photographs include DoubleTake Magazine, NACLA Report on the Americas, New Internationalist, Outlook (publication of Society of American Archivists), Ceramics Monthly, Home Magazine, Hospice Magazine, and Midwifery Today, Her newspaper articles have appeared in The Oregonian, Denver Post, and New Mexican. A book based on a Fulbright year in Ecuador, Cañar: A Year in the Highlands of Ecuador, was published by University of Texas Press and shortlisted for the 2006 Oregon Book Awards. A second book, Our House in the Clouds: Building a Second Life in the Andes of Ecuador, was published in 2013, also by University of Texas Press. Previous books include Scenes from Life: Views of Family, Marriage and Intimacy, published by Little Brown and Company, and Come With Us: Children Speak for Themselves, by Women’s Press of Canada. Photography awards include the Oregon Arts Council, Canada Council, Ontario Arts Council and Thanks Be to Grandmother Winifred Foundation. Research and teaching fellowships for her documentary work in Ecuador include three Fulbrights (2000, 2005, 2015-16) and an Organization of American States award (2001). Judy is a member of Blue Earth Alliance, (http://www.blueearth.org) a photography foundation based in Seattle dedicated to supporting photographic projects that educate the public about threatened cultures and endangered environments.